Welcome to Steve Kaplan’s Website! Consultant and script doctor to Dreamworks, Disney, HBO, Paramount, Touchstone and others. Highly sought-after instructor at UCLA, NYU, Yale, and other top universities. Steve has worked with hundreds of writers, producers and performers to hone their comedic talents. And, he’s influenced thousands more with his book, The Hidden Tools of Comedy. 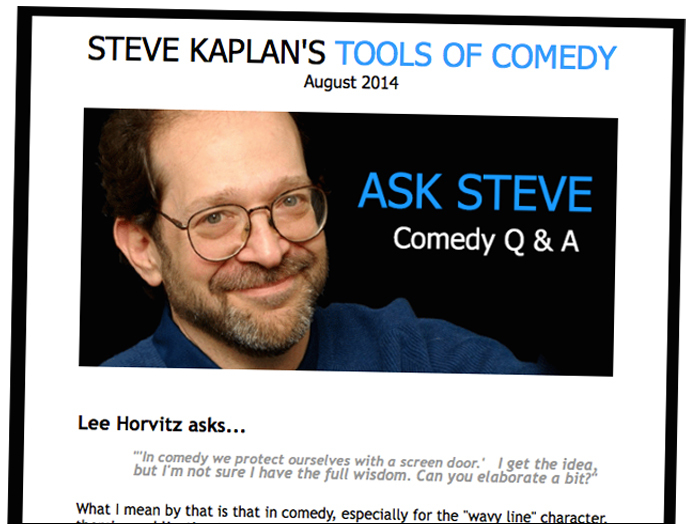 If you want to learn comedy, Steve can help. Steve teaches a number of different workshops all over the globe. 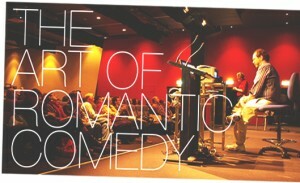 His main workshop, The Comedy Intensive, is a 2-day workshop that covers the fundamental principles of comedy: what it is, how it works, why it works, what’s going on when it’s not working, and what you can do about it! 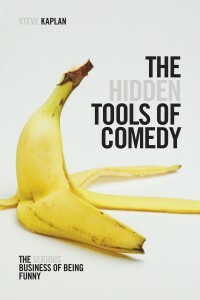 While other books give you tips on how to “write funny,” this book offers a paradigm shift in understa nding the mechanics and art of comedy, and the proven, practical tools that help writers translate that understanding into successful, commercial scripts. 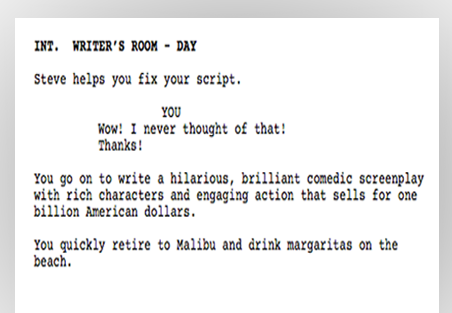 The Hidden Tools of Comedy unlocks the unique secrets and techniques of writing comedy. Steve Kaplan deconstructs sequences in popular films and TV that work and don’t work, and explains what tools were used (or should have been used). Over the years, Steve’s done hundreds of videos, podcasts, lectures, radio spots, and interviews that he’s collected and made available for FREE off this website. With a wide range of full lectures, short answers, and focused interviews, it’s a great way to start learning to tools and tips of Kaplan Comedy. Browse through all the material and see what sparks your interest. Feel free to email Steve with any questions, thoughts, or requests. We just want to make sure you’re not a robot, so please add these two numbers together.